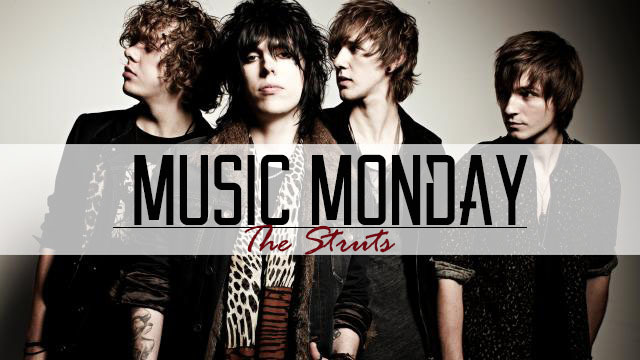 Today I'm sharing a new band I stumbled across called The Struts, and I'm digging their "retro-fetishist, classic rock style" (description courtesy of Spotify). This English band has a sound that's addictive and will have you singing along for sure! Take a listen below and let me know what you think. Also, if you could check out my new video that's up, that'd be awesome! Anyway, hope you like it, and if you do, please give it a thumbs up, visit my channel (HERE), and subscribe! More than those tracks of I enjoyed your video, Linda:) The intro isn't super long, it was great to see you and listen what you have to say:) I must say on video you look even more pretty than on photographs:)! You've got a charming smile and original personal style:) Each of those outfits are so special! Especially I like that chiffon dress with watercolor flower print, it's so feminine! You did such a great job again with that video. Congratulations!